Santa Helena project in Brazil. Photo by Altamir Gold. 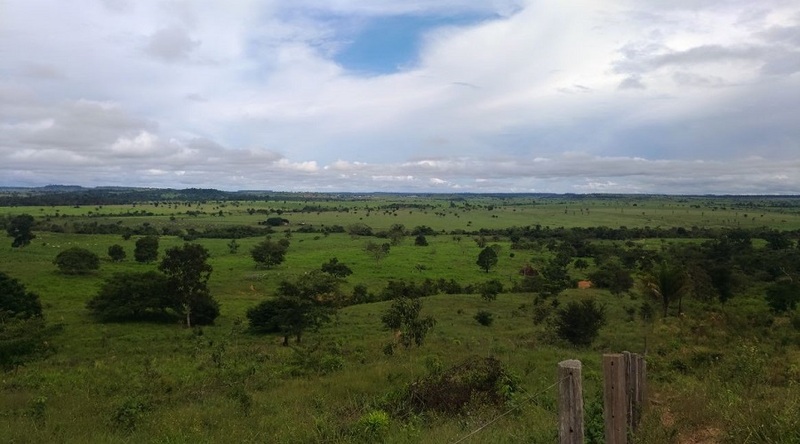 Altamira Gold (TSXV: ALTA) has joined what some are calling a "staking rush" in Brazil's Juruena Belt, located in the western Mato Grosso state. By adding 52,378 hectares and increasing the company's land positioning to over 200,000 hectares in the area, Altamira mimics the strategies advanced by Anglo American (LON: AAL) and Nexa Resources, who acquired over 3 million hectares of claims back in September. Both Anglo's and Nexa's new claims surround Altamira’s twelve projects in the region. There are rumours of a porphyry copper discovery in the eastern part of the belt. In a press release, Altamira explained that the new claims are close to the firm's Fazenda Mogno and Santa Helena properties. "The largest of the two new areas was at Fazenda Mogno where the land position has increased to a total of 41,945 hectares. 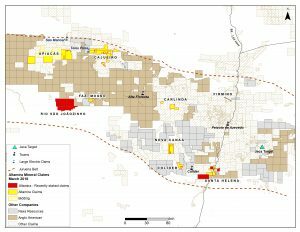 The Santa Helena project has also been expanded and now comprises a total of 21,039 hectares and is the company's closest project to the newly discovered copper porphyry at the Jaca Target," the statement reads. But the miner is not only expanding its reach. It is also starting a copper exploration program at Santa Helena, located in eastern part of the Juruena belt. According to the company, the project is characterized by gold mineralization on surface which may be related to a concealed porphyry copper system. "Porphyry copper deposits generally occur in clusters or belts. Where there is one, there are usually others. Gold deposits are frequently found peripheral to major porphyry copper systems and it may be that most of the gold occurrences in the belt are peripheral to yet unrecognized porphyry copper systems. We are excited to be the only junior with claims strategically situated in the heart of the belt and look forward to the results of our ongoing exploration program," Michael Bennett, President and CEO of Altamira, said in the brief.